Composed of more than 75 full-time scholars and public intellectuals, our distinguished faculty are leaders in their fields of study, shaping public debate, advancing academic research, and pushing the boundaries of social sciences, philosophy, and history around the world. 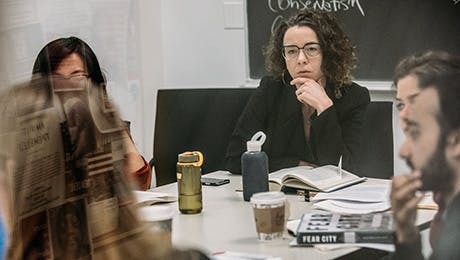 Our full-time faculty is joined by a distinguished group of affiliated faculty, part-time faculty, as well as visiting professors and scholars from leading institutions around the world. Students develop deep and lasting partnerships with faculty, often participating in their cutting-edge research projects and gaining insights to shape their own academic exploration.